Recently, the well-known giant chip manufacturer, of course, Qualcomm announced three new chips for premium mid-range smartphones. But, now according to the latest reports, among those three processors the well-known giant chip manufacturer, of course, Qualcomm just launched its first gaming processor. The well-known giant chip manufacturer, of course, Qualcomm recently, announced three new chips for premium mid-range smartphones. As the Snapdragon 730 brings features that were only available in the 8 series, such as Wi-Fi 6, 4G modem 800 Mb/sec and video capture in 4K HDR with blur background. There will also be a specific version for gamers, the Snapdragon 730G, and a less powerful model that comes in place of the Snapdragon 660. The Snapdragon 730 is the newest member of the family that tries to fill the gap between series 6 and 8. Here, the idea is to begin to bring features that only existed in the flagship models for the devices with more affordable prices. As Qualcomm has put a better image signal processor (ISP), the Spectra 350, that can handle 4K HDR shooting in portrait mode, an exclusive feature of Snapdragon 855. Moreover, it saves in HEIF format (occupying up to 60% less space), has hardware acceleration for computer vision applications and supports the new 48-megapixel camera sensors. As for connectivity, the Snapdragon 730 comes with the Snapdragon X15 modem, with download speeds of up to 800 Mb/s with three carrier aggregations, while the upload reaches 150 Mb/s. In Wi-Fi, the novelty is the support for 802.11ax (now known as Wi-Fi 6). In the specs, we are talking about an octa-core CPU with Kryo 470 cores with the clock speed of up to 2.2GHz and manufactured at 8 nanometers, an Adreno 618 GPU that supports HDR10, games with the Vulkan 1.1 API and Full HD+ screens with resolution up to 2520 × 1080 pixels. But, mobile gamers should adopt another similar chip, of course, the Snapdragon 730G. While it will also have the same specs as the Snapdragon 730 offers, but there are optimizations for the audience who likes to play on the smartphone. We have not yet seen benchmarks on the graphics chip, but Qualcomm speaks at 15% more performance compared to the Snapdragon 730. The higher graphics performance of the Snapdragon 730G allows smartphones equipped with this chip to have higher resolution screens. 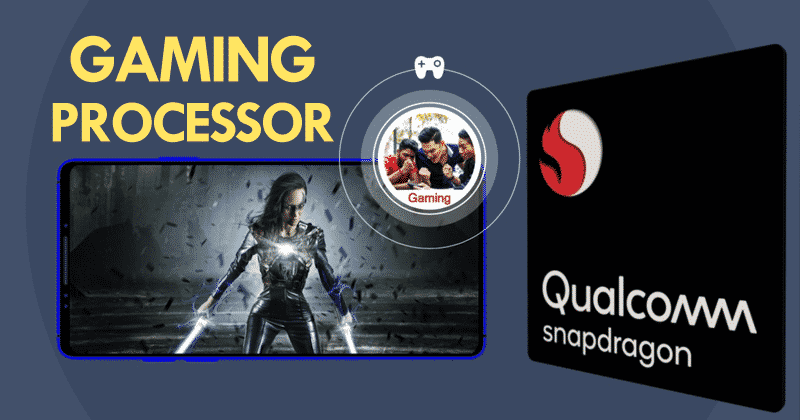 And not only that even it is also part of Snapdragon Elite Gaming, a program that Qualcomm has created in conjunction with developers to optimize gaming, with more efficient APIs and features like anti-cheat extensions and latency management. Now if we talk about the Snapdragon 665 then let me clarify that basically, it has an artificial intelligence engine that supports features like 3D face unlocking, object detection and new shooting possibilities such as night mode and portrait mode with hardware optimization. Moreover, along with the Snapdragon 730 and 730G, the Snapdragon 665 will appear inside the first smartphones in the middle of 2019. While the well-known giant chip manufacturer, of course, Qualcomm has not yet officially revealed which manufacturers will use the new chip, but we are likely to see the 730 and the 730G in the devices of the Chinese brands first. So, what do you think about this? Simply share all your views and thoughts in the comment section below. And if you liked this post then simply do not forget to share this post with your friends and family.